Club Penguin Cheats by Mimo777 Club Penguin Cheats by Mimo777: Club Penguin Igloo Furniture Released! Club Penguin has release a new furniture catalog and loves to see what everyone does with the new items. 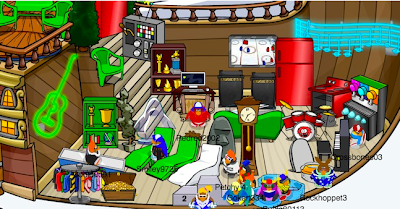 If you seen an igloo that you think Club Penguin should feature on their blog, let them know the penguin name and why you like it here. Have you seen any super cool iggies? If so, let us know about them, k? Also, Club Penguin has been trying to make puffles be able to wear hats! They will have more deets about it next month! if you can get flare the elite puffle by the epf phone then now you can find a whistle in your inventory for him.